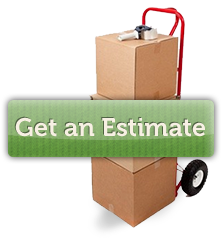 Do you provide free moving estimates? Yes, absolutely free of charge just give us a call. What does a door to door service or full packing and unloading mean? A complete door to door service includes packing all your household belongings and loading them into the shipping container or wooden crates. Once your shipment arrives at your final destination everything we packed and loaded is unpacked and placed in your new home. We weigh the container or crates empty and then we weigh them full, then base all of the charges on net weight. Everything is weighed on certified scales and signed by a weighmaster. How do you pack electronics, glass or antique items? Our professional packing staff has years of experience packing fragile, high value items. When the Hulihee Palace on Alii Drive and the Historic Home at Pu’uopelo needed their priceless antiques packed they called our team to provide museum level service. Standard liability coverage on moves is $ 0.60 per pound per article. Are there any additional protection or insurance options for my personal household items? Yes, we recommend that you first check with your own insurance carrier to see if your home owner’s policy has a provision that covers your move. We do offer Transit Insurance Protection through TG International Insurance Brokerage, a third party insurer. Can I ship my vehicle with my personal household goods? Putting a vehicle in a container with your personal household goods can be done but may not be the best solution for every move. Call our office and we will help you find the best solution for your individual needs. We do our best to provide you with all the charges up front as long as we know in advance what your final destination access is like we can anticipate those charges. Items like pianos and extra heavy pieces do have additional charges associated with them so please point those out during your free estimate and we will price them out for you. I’m on a budget, are there ways to save money? Our job is to find the best solution for your individual needs; we have a lot of experience helping clients save money. Just give us a call and will do our best to help you plan a move that fits into your budget. It depends on the level of service you want us to provide. When using our complete door to door service all the packing material is included, we do charge extra for crates if necessary for fragile art work. 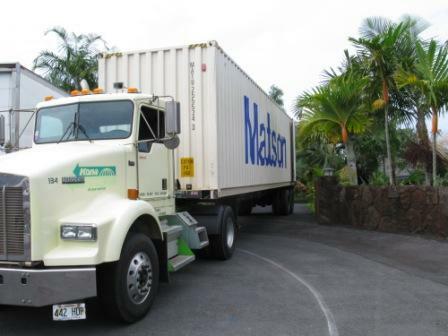 We calculate your charges to your final destination after your net shipping weight has been determined in general we collect all charges in advance prior to shipping off island. Kona Trans accepts Visa and Mastercard, personal checks (on approval) and cash. We have the capabilities to move just about anything…even up stairs! Just give us a call and tell us what you need moved and if can be done, we will do it. Absolutely, our team has moved many pianos and organs over the years. We have many piano tuners, schools and musicians that use us exclusively to handle the movement of their musical instruments. Can Kona Trans do local moves on the Big Island? Absolutely, small condos, large homes, retail stores, office moves we do it all! Does my local move include any materials?